A battery claimed to be destined for the anticipated "iPhone 7" shows a larger capacity than the current iPhone 6s, suggesting Apple may be able to squeeze more capacity into a smaller frame -- and potentially with an all-new casing material. The alleged "iPhone 7" pictures and details were shared on Friday by digi.tech.qq.com, which came across a purported Apple battery advertised with a 7.04Whr capacity. If legitimate, that would be larger than the 6.61Whr battery found in the iPhone 6s. Without corresponding voltage, the true capacity of the battery in terms of milliampere-hours cannot be determined. But presumably a larger watt-hour rating would result in a battery with greater capacity. The images were spotlighted by MacRumors on Friday. The original report also included somewhat questionable, though interesting claims to go along with the pictures. Specifically, it said that Apple's "iPhone 7" will sport a ceramic body. If so, that would be a major change for Apple, which has previously made iPhone chassis out of metal, glass and plastic. The idea of a ceramic handset is not new --?the 2012 HTC One S featured a ceramic body with "Micro Arc Oxidation" which gave it a robust exterior. However, at the time, the technology was also prone to chipping, which led HTC to abandon that design. Apple itself has toyed with the idea of ceramic iPhones, as revealed by patent filings from the company. However, Apple has dabbled in many materials, including sapphire glass and an alloy branded as Liquidmetal, but has not used them in significant ways largely due to prohibitive costs. As a result, the claims of a ceramic "iPhone 7" should be taken with a grain of salt. To date, most of the "iPhone 7" related leaks have supported rumors that the biggest -- and most controversial -- change to the device might be the elimination of the 3.5mm headphone jack. It's been said Apple is considering removing the port to allow the device to have an all-new, thinner-than-ever design. Part leaks said to be for the "iPhone 7" have ramped up in recent weeks, which likely corresponds with Apple's own start of production ahead of an anticipated fall launch. It's expected that Apple will officially announce its next-generation iPhone in September. Ceramic body is a nice idea to get rid of antenna bands completely. Bring it on even though I don't believe it due to the manufacturing pri where metal is 100x easier to fabricate. Not even considering the possibility that Apple is probably testing multiple batteries, sizes, materials etc. to determine what would be the best in the new phones? A ceramic iPhone body would be pretty cool, except for the fact that it would add another component I would worry about cracking when dropped. Obviously ceramic mic has come a long way and can be made to survive very demanding environments. The car I'm getting has ceramic buttons and control pieces which have a decidedly better feel than the plastic and metal parts they replaced and I assume they will last longer as well. Way back in 2006, Apple did file a patent for a zirconium dioxide electronic device enclosure. It would be extruded instead of machined, of course, so the result would be an empty, flat tube. The zirconium dioxide article in Wikipedia no longer references the Apple patent. But it was there for years. I think patentlyapple.com also had a story about that patent, with images even. I would really like something other than plastic keys on Apple keyboards. Getting sick of the click plasticky-ness. Textured glass would be perfect. The Magic Trackpad and MacBook trackpads all have textured glass surfaces now. Ceramic would be pretty interesting. It would also reduce the weight of the phone, like the Xiaomi Mi5 Pro. Note the weight is even lower than the iPhone 6S. Cost shouldn't be a problem given the fact this phone sells for $350 USD. This is one of the things that are wrong with Apple. The execs let the design team pick the battery. No headphone jack would be cool- but there will be some furious people. Yes but that's life. People should be more furious about how ecumenically stingy Apple has become. I mean, €115 to cover both sides of an iPad mini 4. It's inexcusably mean. Ceramic body, with right tech and design could boost the reception signal compared to current iPhone design, and in terms means longer battery life. But Ceramic body isn't very durable, and I hope Apple has some innovation to fix that. Wouldn't a ceramic body be more eco-friendly? What has to be understood about these Chinese manufacturers is that the reason the price of their top line phones are so low is because the Chinese government gives these manufacturers loans at below market rates, and doesn't expect them to be paid back, which is, in effect, subsidizing them. In addition, we don't see many of these phones being sold out of China and some other countries there because they don't honor patents. As soon as these phones go on sale outside of those countries, they will be sued. these companies have the same cost as Apple and Samsung, so there's no magic to the pricing, just billions in subsidies. And because of those subsidies, as well as other government practices, the Chinese banking industry is in trouble. There are a number of ceramics that are very durable. You can use them as a hammer, and they won't break. It's incorrect to think of modern materials in the way they were formally thought of. The problem is that many of these materials are very expensive, hard to fabricate, or both. While I can't comment on government loans, Xiaomi has openly stated that their devices are sold at (or close) to cost. As for the device itself, the combination of ceramic and metal has been getting some positive feedback thus far. I think it could be an interesting combination should this rumor, about a future iPhone, be true. Sorry to burst your bubble on this one, but aluminum has a desity of 2.7 and zirconia of about 6. So you would have to reduce the volume of the material by at least 1/2 to get the same weight and I don't believe better mechanical properties can support that. 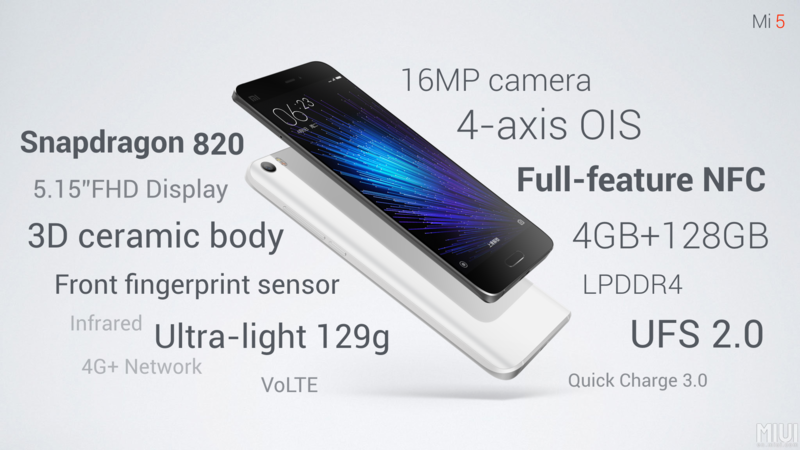 If Xiaomi can do it so can Apple. With these latest leaks, the iPhone 7 is starting to look more interesting than I initially thought. I've read about these subsidies before it's been called the "China Price". The above link is an article using the Chinese steel industry as the example. Pretty interesting stuff. Zirconia, or any specific ceramic, had not been specified in this rumor. There are thousands of ceramics, cordierite, for example, has a density of 2.3 g/cc. Less material could potentially be used as well. iPhone 7. Cool. If they can make the battery last for a whole day of normal to active use I'd go back to small phone any time. The iPhone Plus has a very real battery advantage. iphone SE. It'd feel really nice in your pocket.. I think they're doing the right thing, keeping it up with hardware. People want that. I guess it'd make sense with a lower cost iPhone in some markets too at some point. But I doubt Apple would make it the same as the other iPhones. It'd be like a totally different product. E-ink display, week of battery life, mini apps, meant for developing countries. Not for snazzy 3D games.